Ableism is something that affects people with disabilities on a recurring basis. The experience of disability is often complicated by ableist interpretations of the embodied experience of those experiencing disability, at times this prompts those who live with disability to view their own person by a pathologised lens. Gregor Wolbring raises that ableism is often left unrecognised institutionally or socially in comparison to other more distinguishable ‘ism’s’ such as racism or sexism. For an example of mediated ableist narratives one can look to the ‘news’ stories presented during prime time television. Television shows such as A Current Affair habitually feature stories where journalists make efforts to disapprove a person’s entitlement to disability welfare payments on the premise that they fail to meet visible qualifying markers of what ableist society identifies as a ‘disabled person’. I myself have struggled with the complexities of experiencing cerebral palsy, scoliosis and arthritis. Navigating my health is at times difficult and has been further complicated by the fact that for most of life I have not fitted into the visible requirements of what someone experiencing disability looks like. This has prompted self-doubt as to whether I was deserving of space or ‘special consideration’. Or the bigger question ‘how do I identify?’ ‘Am I ‘able’? ”Am I what society perceives as disabled visibly?’ Such doubts and questions are shared by my lecturers at uni, parking inspectors, Centrelink staff and the broader community, almost always to my personal disadvantage. For a long period I was left silenced and passive, even now my voice still continues to heal. 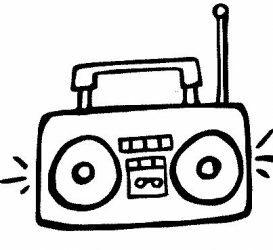 But hearing diverse voices on the radio (such as 4ZZZ) and listening to news stories that are inclusive of people within our community, provides a cathartic rhythm with the turn of a radio dial that stilled the anxiety of isolation that I was once experiencing. This eventuated to me seeking out a volunteer position at 4ZZZ radio station, the skills and relationships that I have developed at 4ZZZ has led to growth in my professional, personal and physical life. Elizabeth Ralph is a volunteer and former Culture Reviews Coordinator at 4ZZZ in Brisbane. Previous PostPrevious Argh! My website is invisible!